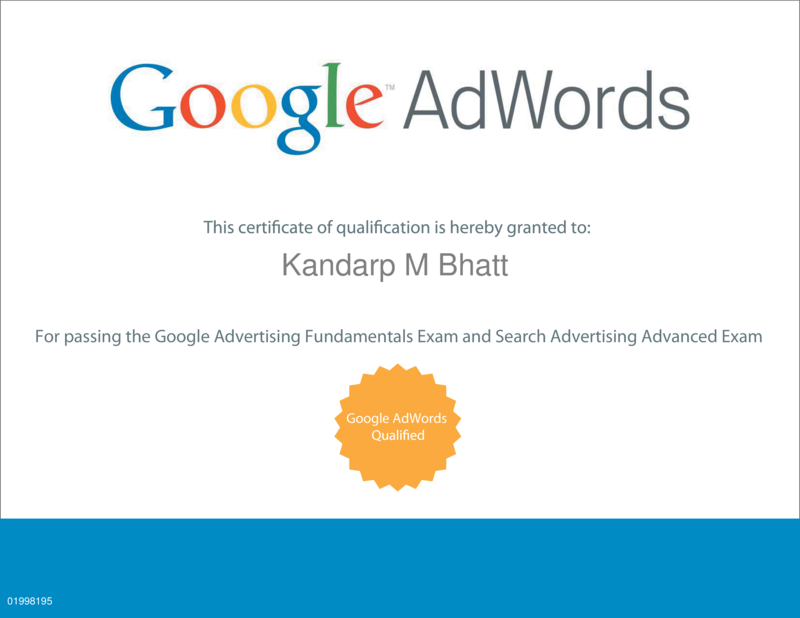 Should I go for New Google Adwords Partner Certification Exam? As you know that every online business needs help to stay in comfortable and worthful position on the web and there are a lot of agencies or organizations present in this internet world to help businesses to reach their targeted users. Among the various kinds of organizations we like to work with Google, yes it is true that others are also performing well, but according to our personal experience we would like to recommend Google and its services specially “Google Adwords”. We know that most of the businesses aware of this service, so we will not discuss about it, but post is all about new “Adwords Partner”. Here we have not covered about fundamental, tips, exam etc. Basic detail you can find out here, but we have found following issues and other factors while we were working on it and made some questions and answers. So let’s start the questions and answers. Q: How much will agency pay for new partnership with Google? Ans: Agency does not need to pay anything for it. 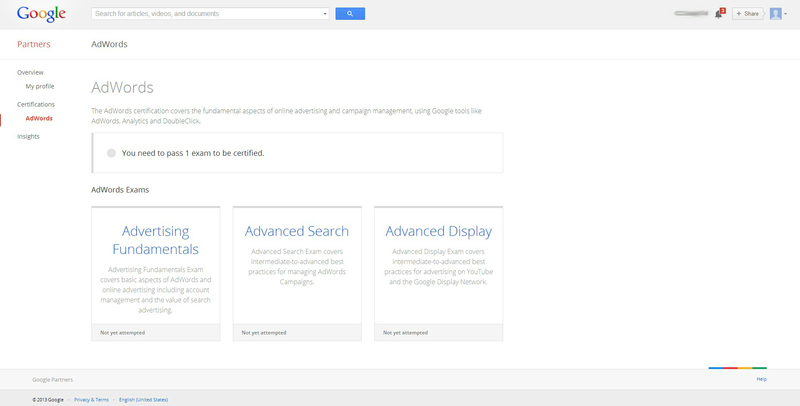 It is free for all internet marketing agencies/ businesses which want to associate with the Google as a partner. But if you want to get individual certificate then, the scenario is the same as previous you will have to pay for an exam and get certified, may be in future Google will take similar steps for Individual certification. Note: You can give partner exam through your mobile from wherever you want like: Traveling, Watching Movie, Listing Music etc. On Nov. 13. The Google Certification Program will be completely replaced by new certification experience. Q: How can Individual share passing score with this new Program? Ans: In Old system, individual certification will get a link after passing the exam which you can share with anybody where people can see your details. You can create a separate link with required detail and share with clients/friends/colleagues. In New system, Google has removed that facility to share your score till now. May be Google is planning to add in next coming future. Q: How to get certified for an agency? Add id of certified employee(s) to your business account. Spend $10,000 for 90 days on your campaign and need to continue with this minimum amount. Note: You can add more than one certified employees with account. Q: Can added employee(s) see their certifications’ details in partner account? Ans: Unfortunately “NO” you cannot see any certified employee(s) details and there is no source of finding them within your partner account, so your client(s) can only see the number of certified employee(s) with your business account, may be in future but not sure Google will allow to show details of certified employee(s), till then individuals need to wait with hidden identifications of Google Adwords’ Certificate. In a new partner exam you cannot get any link, but can see score in percentage with details of how many answers you have given correctly. Earlier we can only see percentage only. Now Google has started to show correct questions as well. One minor issue we found that after finishing partner exam you will not able to move new page from existing page because you will not find any option to move. Once you get your score and click on Logo it will not land you anywhere. So you need to open home page URL www.google.com/partners in the same tab or a new tab. Q: Can we leave any question unanswered? Ans: NO, in new system you are not allowed to unanswered any question. You will have to provide any answer(s) to your question. In New system you can start the Exam in any Browser and there isn’t any need to use a separate secure application, the Testing Center Browser. Previously, in Testing Browser Center we can skip any question without giving any answer. We can Mark the questions for which we are not sure and need to review at the end. In New system no such application required and from any web browser we can apply, there isn’t any facility to mark the question and review at the end. By considering the time you have to judge for particular question how much time you can take to answer precisely. 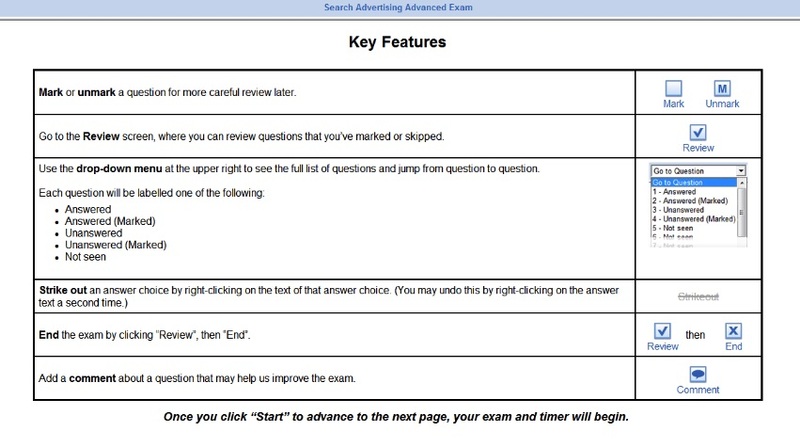 Quick look: You familiarize yourself with the functionality of the paid exam interface before beginning the exam. For more details click here. Q: When a certified employee leaves an agency will he/she lose his/her certification? Ans: NO, it will stay with him/her according to Google time period of certification. Q: If an uncertified employee gives free exam through partner account will he/she get an individual certificate? Q: Is Testing Center Browser features still work on certified exam? Ans: It is only working on the individual paid exam, if you are giving the exam through new partnership program then it will not be available. Thus, people who are giving the exam through the partnership program they will not face problems like: keyboard hangs or exam will close if any software interruption etc. People can use new tab or browsers while giving exams. But for individual due to testing center browser you will have to use only mouse and mouse related keys on the keyboard, you cannot use any other keyboard keys or any software should not interrupt you otherwise you will lose your exam and if you use ALT+CTRL+DEL keys to close the testing center you will get the following error message. Then you will have to invest again in the exam. Q: How can we use new Google badge after getting the certificate? Business cards, letterhead stationery, curriculum vitae, website, linked Google+ Page and marketing materials. Cannot use in emails, any product, book etc. Note: You cannot change the elements of badge such as: ratio, colors etc. For more details about the use of badge click here. Q: Which badge do you suggest for agency old one or new badge? Ans: We would like to suggest about the new one but you will have to take care about its guidelines. Q: From where individual search for qualified status? The New Google Partner exam is free, but individual still needs to give paid exam for the certificate. Testing Center Browser is not available for partner exam. Need to use new badge with proper guidelines. So, should we go for a new badge? If yes, then which account should we add to our partner account?